Christian life coach training for people who want to train as a life coach with an experienced, inspiring and supportive coach trainer who approaches life coaching from a Biblical perspective. Train to become a Christian Life Coach with us and be equipped to transform your own life and relationships while learning how to effectively help people get breakthroughs from a Christian perspective. Our Christian life coach training isn't just for people who want to set up in business as a life coach. If you are a mentor, pastor, small group leader, teacher, parent, business person, counsellor or life coach and you want to add Christian life coaching to your skill set then this effective yet very affordable Christian Life Coach Training is for you. You can be become a professional trained and qualified Certified Christian Life Coach from the comfort of your own home, wherever you live in the world and be coaching your first paying clients in just 10 weeks! Life coaching transforms lives more powerfully than teaching or consulting alone, bringing lasting, significant, sustainable change. Our life coach training is affordable, great value, practical, Biblical and it's easily accessible wherever in the world you live. This coach training focuses on coaching around identity, values, purpose, obstacles, life balance, choices, and renewed thinking. It offers systematic training as a professional life coach from a Christian Perspective. Our Christian Life Coach Training? Learn how to coach people to much needed breakthrough and transform your own life in the process. Our Christian Life Coach Training equips you with the skills you need to effectively help people get unstuck and transform their life. All the documents and coaching exercises you need to enable you to get started with coaching. You will also have access to invaluable coach marketing training. Everything is covered from getting started with coaching, to online and offline marketing, and creating multiple streams of income. If you can't wait until January to get started I offer a solo training option, see below. Students are delighted with the level of support they receive and with the extensive range of coaching tools and techniques. I personally help you to get to a place where you are skilled and comfortable coaching. If the scheduled group coaching days and times don't work for you I offer a Solo Coach Training option. We can arrange a mutually convenient time to fit your personal schedule. The weekly coach training takes place online by teleconference so you can easily join us wherever you live in the world. If you prefer to train at a time that suits you better you can opt for the The Solo Christian Life Coach Training option. It is ONLY £1100 ($1699) for my undivided attention and can be arranged to fit your personal schedule. GROUP Coach Training £550 ($850) Pay in full or in installments by arrangement. SOLO Coach Training £1100 ($1699) Pay in full or in installments by arrangement. Please register as early as possible to reserve your place in the class that bests suits your schedule. 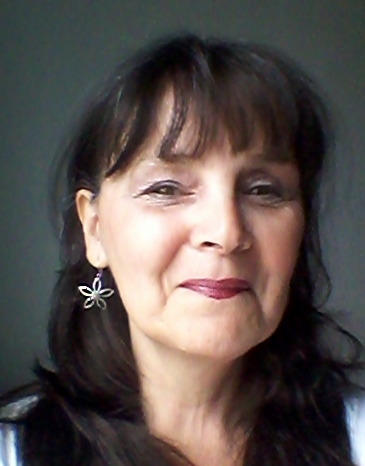 "Lynne the Trainer, is effervescent in her delivery bringing an abundance of positive energy and skill. Her knowledge and relevance is truly apparent and nothing is too much trouble for her. She is always available to assist and support your learning. I feel equipped to begin a Christian Coaching practice. The materials are very thorough, and the program is paced nicely. I did the convenient individual sessions which worked best for my schedule. For the money, I got quality time with Lynne each week, inspiring audio and web training, and support resources -- such as client questionnaires and sample contracts for my practice. Click here to reserve your place for Christian Life Coach Training Today! If you have questions I will gladly arrange to speak with you so I can answer your questions and help you decide whether our training is exactly what you need to equip you to be a more effective people helper. "I knew the course was something I wanted to do but felt apprehensive - was it really for me? Would I be able to cope with the work; most of all, would I be able to manage the technical side of things?! Lynne encouraged me and fully supported me in going ahead. The course has been very rewarding, fun and rich in so many ways - I looked forward to the live sessions, enjoyed listening to the audios and yes, managed the IT side of things. It will not only give you the tools you need to make a lasting difference in other people's lives, it will also lead tobreakthroughs in your own life. Go to the course registration area and introduce yourself then make your payment. On receipt of your payment and registration information, you will be sent a User ID and Password so that you can login to our Student Centre and access the initial course materials. "The Life Breakthrough Academy training is well balanced, practical and challenging. The content is deep and the timescale is intense and well worth the effort required between sessions.